Sydney: Darren Lehmann will step down as coach of Australia before the fourth test against South Africa begins on Friday, according to a report in Britain's Daily Telegraph, as the fall-out from the ball-tampering scandal continued on Tuesday. The national governing body expects to announce the results of the investigation in Johannesburg late on Tuesday and although Smith said the coaching staff had been unaware of the conspiracy, Lehmann still had questions to answer. The former test batsman clearly played a part in trying to cover up the cheating by getting word to Bancroft that his use of some tape to try and scuff up one side of the ball had been spotted by the television cameras. The Daily Telegraph cited sources as saying Lehmann, who has made no public comment since the incident, planned to pre-empt the investigation by stepping down more than a year ahead of his planned exit after the 2019 Ashes series. Smith's predecessor as captain, Michael Clarke, thought that Lehmann was damned equally whether he had known about the plan to cheat, or if he had not. "If that's the case, then the Australian head coach hasn't got control of this Australian team," Clarke said on the Nine Network. "And if he does know about it, then he's as accountable as anybody else." Lehmann took over from South African Mickey Arthur in 2013 in wave of national team appointments that removed foreign coaches in favour of home-grown alternatives in cricket, soccer and rugby union. 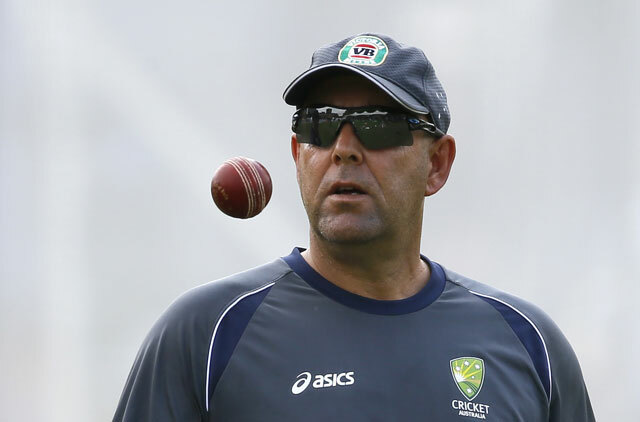 The 48-year-old known throughout the game as "boof" encouraged a more relaxed atmosphere in the team and fostered an environment where players were allowed to express what he felt was the natural aggression of the Australian game. On the pitch, Lehmann has enjoyed a largely successful reign, winning the 2015 one-day international World Cup on home soil and triumphing 5-0 and 4-0 in the two home Ashes series he has overseen. Lehmann has not been averse to a few aggressive marks off the pitch, though, most famously when he spoke before an Ashes series of his hopes of sending England bowler Stuart Broad home "crying". Even if he is cleared of any involvement in the affair, there is clearly a mood abroad in Australia that the standards of behaviour of the national team have dropped too far under Lehmann's leadership. Prime Minister Malcolm Turnbull said on Tuesday he had spoken to Cricket Australia chairman David Peever and demanded swift action on the ball-tampering incident. "This has been a shocking affront to Australia," he said in Canberra. "Cheating is a disgrace. We all know that, it is a terrible disgrace." He also, however, spoke out against the practice of "sledging" opponents, something Lehmann and his team have defended as part of the game and which had already contributed to a souring of relations with South Africa in this series. "I think there has to be the strongest action taken against this practice of sledging," he said. "It has got right out of control, it should have no place in the game, I want to be very clear about this. The game of cricket should be one that once again is held up as a role model. "I think that some of the sledging, as some of the shocking conduct that we have seen, is also part of the process of review and reflection that is going to be undertaken." Cricket Australia chief executive James Sutherland will arrive in South Africa on Tuesday to join head of integrity Iain Roy, who has been conducting the investigation. With not much cricket for Australia beyond the fourth test against South Africa over the next six months, local media is speculating that Smith, Warner and Bancroft could be suspended for up to a year for their parts in the scandal.